Similar to others nation-wide, the first library in Mount Pleasant was started by a group of women as a lending room. The King’s Daughters operated it out of their hall on Whilden Street in what is now known as the Old Village. The first official Mount Pleasant Library opened on June 19, 1931, as a branch of the Charleston Free Library. 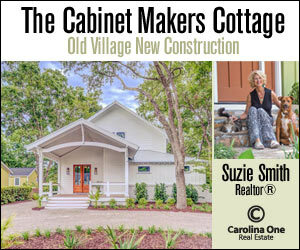 It was housed in a small one-room building next to the old post office on Church Street. Benches in the shade of the oaks make cozy spots for reading outside. The library eventually moved to a little house on the corner of Hibben and Church streets. According to “The History of Mount Pleasant” by Petrona Royall McIver, this temporary space was originally Huthmackers Drugstore and was located in the yard of Mrs. Julia Hamlin. 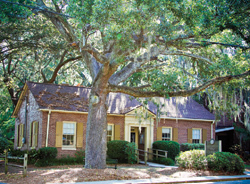 In the 1940s, members of the Mount Pleasant Exchange Club raised funds for a new building, and their donations were combined with allotments from Charleston County and the town of Mount Pleasant, which provided space at 430 Whilden St. Other organizations contributed money for books, and the Mount Pleasant Garden Club took on landscaping and maintaining the grounds; the town of Mount Pleasant now handles this job. From its exterior, the structure appears to have been a home in an earlier life, but Harold Tatum of Mount Pleasant designed it as a library. The little brick building tucked under the oak trees is a fitting design for this older residential neighborhood. The library opened on Aug. 2, 1948. 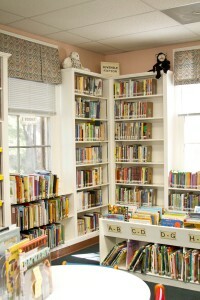 Low shelves make it easy for young children to select books. Residents of the Village appreciate having a neighborhood library branch, and it is especially nice for introducing children to the library system. Programs include story times, crafts and shows such as Joy the Clown and the South Carolina Aquarium Rovers. Ann Dupre, a resident of the Village since 1973, raised her daughter going to the Village Library. Dupre now finds the Village Library convenient for returning books borrowed from the larger Mount Pleasant Regional Library. Frank Newham has been using the Village Library since moving to Pitt Street in 1994. Marvin Stewart is branch manager of the Village Library. 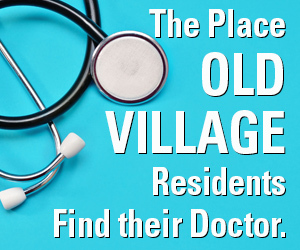 When the regional branch on Anna Knapp Boulevard opened in 1992, the Village location was expected to close, but its loyal users lobbied to save it. 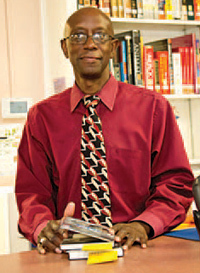 Librarian and branch manager Marvin Stewart works to keep the branch operating by publicizing its programs – although some older patrons get a little upset when he does. “They like it quiet and with little competition for the books they want to read,” Stewart explained. He enjoys sharing this unintentionally well-kept secret and looks forward to celebrating the Village Library’s upcoming 65th anniversary.